Watch Case Colour Silver;Chain Type Steel Less Steel;Dial Colour Black;Amaze Brand Fashion Watch. 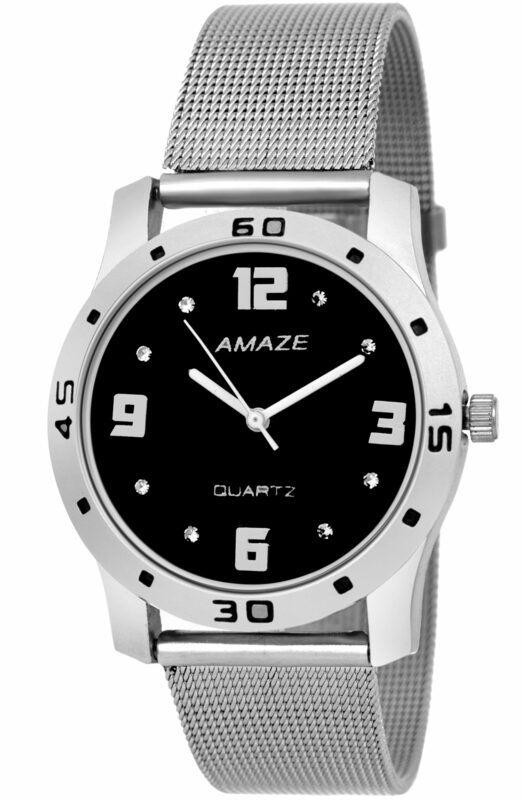 Amaze is known for its edgy and affordable range of watches. Crafted from a good quality material;this watch for Women is light in weight and long lasting too. You can show it off with your casual & formal attires to grab compliments from everyone around. Being easily Affordable to make it sit right on your wrist;It is Brand Since Using 2015 Year it can add a physical dimension to your Style.